On your wedding day I will become part of your family, so your story is told truly, through the eyes of a friend you can trust. To me wedding photography isn’t about hours of posing for photos, it’s about enjoying one of the most important days of your life with the people that matter most to you. By welcoming me into your world, all the moments of your day will be documented with love – from the serious, to the silly, to the poetic. As your wedding photographer it is my passion to capture wedding photos that will become part of your family’s legacy. I believe we become who we are through our relationships with our family and friends, and that there is nothing more valuable than images that celebrate those connections. My approach to your wedding is based of my own family legacy and how much it means to me. My father, Jack, was a powerful man, in mind, body, and spirit. He taught me to listen, to be loyal, respectful, prepared, and charitable, and to always work hard to do my best. My mother, Sylvia, was vibrant, funny, outgoing, and generous. She gave me the confidence to be myself. I want to get to you know you both, and understand what matters to you most. 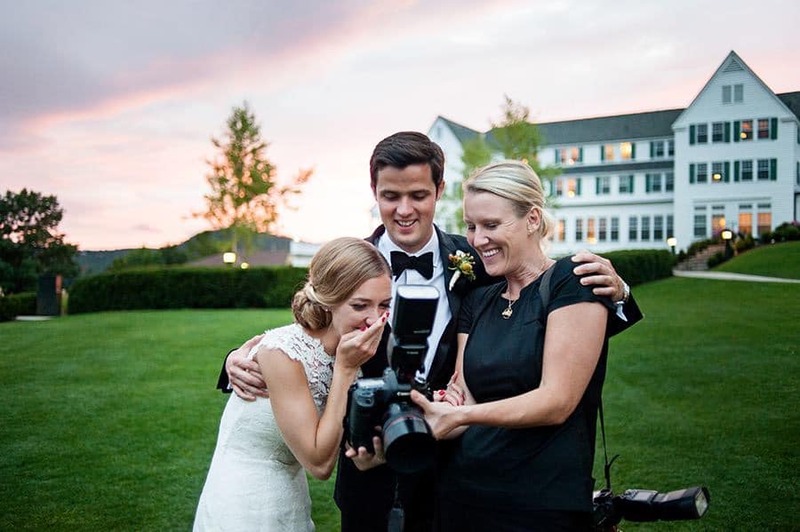 I want to be your photographer — and on your wedding day, a member of your family. And always a freind. As an equestrian photographer it is my passion to create images that capture not only the beauty of you and your horse, but also the emotion, connection and meaning that comes with being an equestrian. Every horse has it’s own personality and every equestrian her own style and story to tell. My subjects range from ages 4 - 84, from young girls just starting out, to competitive riders, to women returning to horses after many years away. I love going beyond classic portraits and show photography to celebrate the gorgeous real moments that make riding so magical. I feel alive when I’m photographing horses and fellow equestrians because I’m a dedicated animal lover and equestrian myself. I have two rescue dogs, Roxy and Sydney, and a horse named Henri. There are no words to describe the happiness that Henri brings me, and I can tell you first hand how meaningful it is to have photos of the two of us together - I treasure them. Herni, American Quarter Horse and his color is palomino. He has the kindness eyes and innocent heart. He has given me strength and taught me humility. Henri has empowered me to conquer fears and experience the kind of joy only other equestrians would understand. The best part is when he knickers when he see me, my heart melts everytime! Riding horses is so much more than a hobby or sport, it’s a privilege and one of the world’s greatest joys. Capturing that joy in an image is what great equestrian photography is all about for me, and it’s what I would love to capture for you.